Every new language requires learning a lot of new vocabulary from scratch. Chinese is no exception. 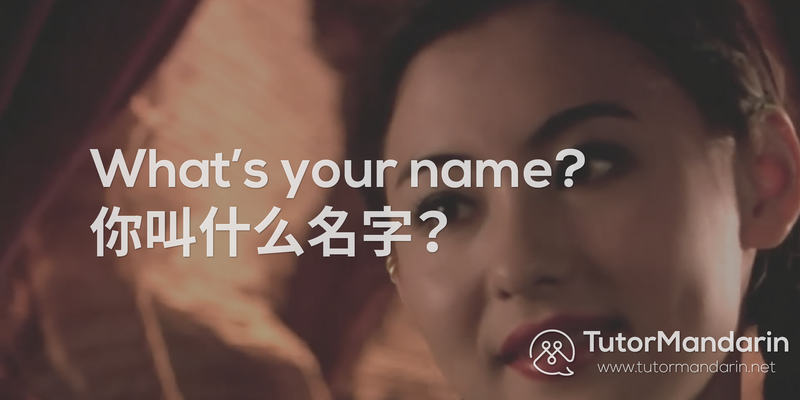 You are ready to learn Mandarin vocabulary as soon as you know the basic of Chinese — namely, “Pinyin.” Pinyin teaches you how to pronounce each sound in Chinese using the English alphabet. On top of that (literally), it includes tones (on top of each word). This way you can use pinyin to read Chinese, even though it is not a phonetic language. 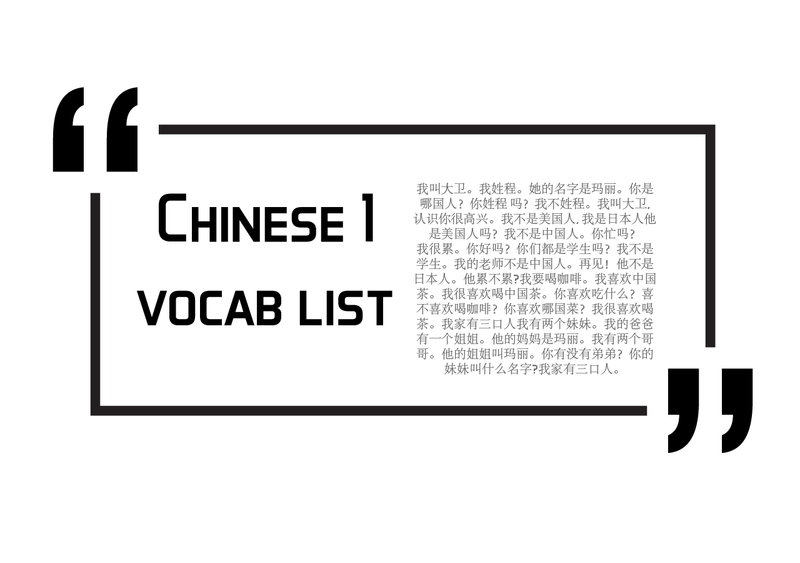 This Chinese 1 vocab list will include pinyin in addition to the Chinese and the English. Of course, you can use these as flashcards and hide the components you don’t want to see while studying. On top of this, we have included up to 2 examples sentences for each word. If you’re confused about the meaning or want to see the word in context, then this is where to look. Remember an example sentence is a great way to learn the word in context and preserve a deep memory of its meaning! This is a list of basic Chinese vocabulary for you (common Chinese words that is). There are thousands of Chinese characters to learn, but you can actually get pretty far by just learning the most ‘common’ or ‘high-frequency’ characters first. 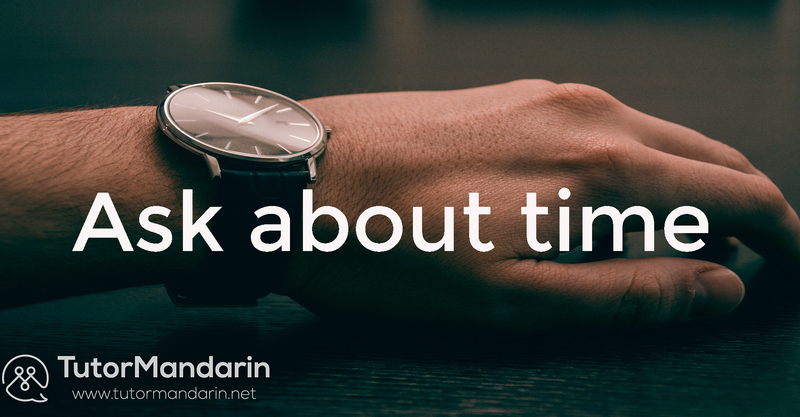 In fact, since Chinese is built upon characters… even when you get to advanced vocabulary later, you’ll find the advanced words are still made up of the same simple Chinese characters you’ve been learning in this list. Isn’t that great? So enjoy this Chinese language list of words, as it will help kickstart your language learning! Again, this is the Chinese 1 vocab list. This will have some words that are included in, say, Business Chinese vocabulary — but — it will usually just be more general words. Ok! No more further ado. Below is the list of Chinese vocabulary words. These all come from our 1-on-1 Chinese courses where we teach students online in our virtual classroom. You can unlock many of these lessons just be signing up. Also, if you sign up you get one free trial class just for yourself. This entry was posted in Chinese Phrases, Chinese Survival Skills, Free Chinese Lessons, Learn Chinese quickly and tagged chinese vocab, chinese words, learn chinese, learn mandarin, mandarin vocab. Bookmark the permalink.